This 2 Tone Flower Shape Single Bowl in German Silver will surely impress buyers looking to infuse a sense of refined aesthetics into each of Read More..their cutlery pieces. 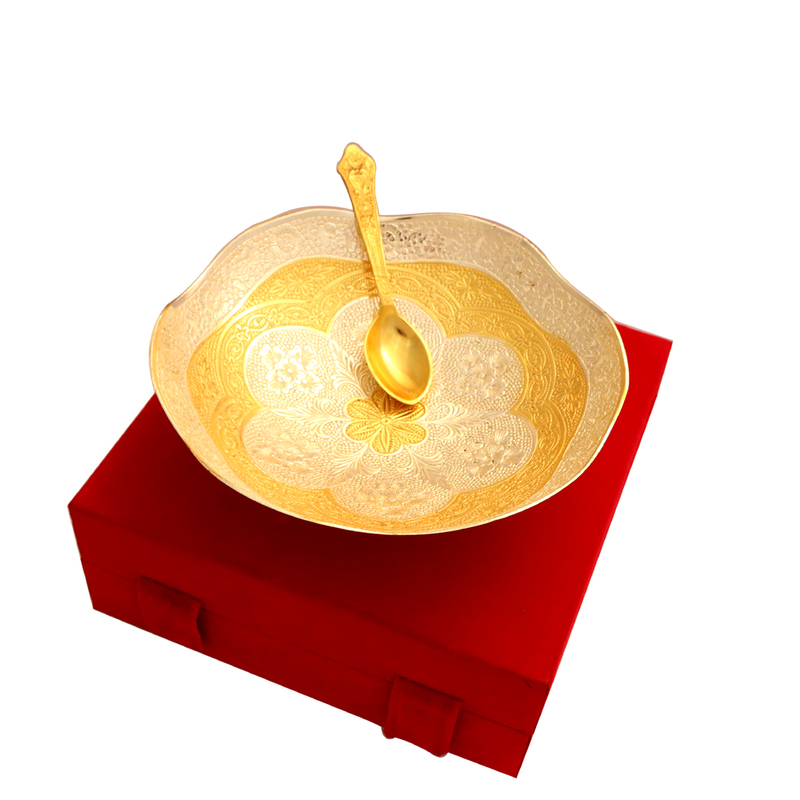 The dual tone works wonders for this dessert bowl, with the alternating hue of silver and gold on the petals acting perfectly to accentuate the beauty of the flower design. This dessert bowl will effortlessly add a dash of grace and elegance to any dinner table it adorns. Show Less..